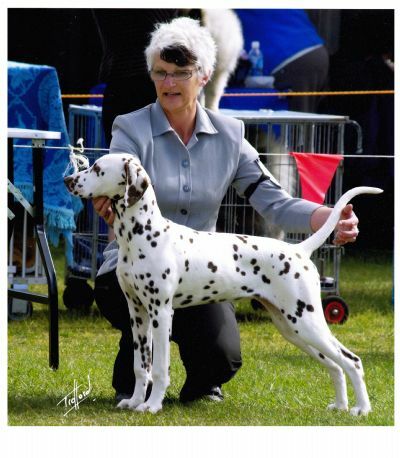 Coco gained her Australian Title at 13 months old, after taking almost 5 months out of the show ring after over 5 months recovering from a damaged bone in her shoulder. Since returning to the ring in early 2013 she has had numerous Best of Breeds and classes in Group. Coco is now retired to a life of leisure.